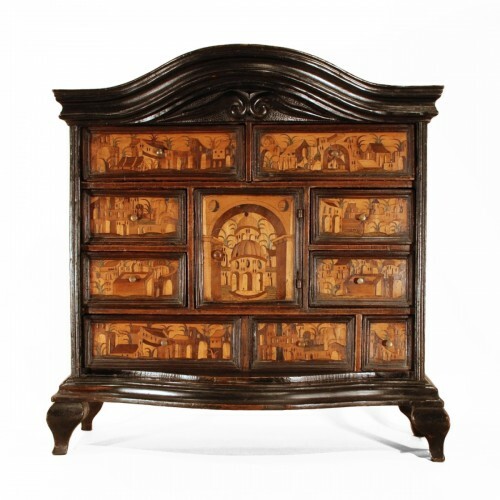 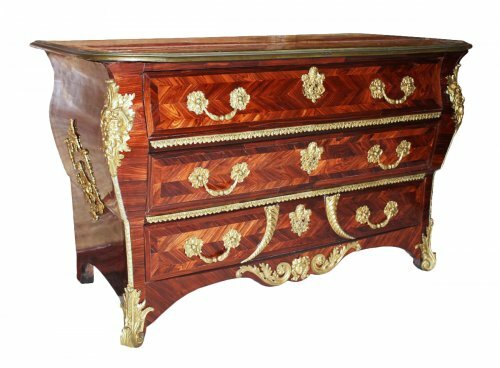 Early 18th century Commode said "mazarine"
Commode in oak wood, beginning of 18th c.
In the image of the Sun King, Louis XIV furniture is synonymous with grandeur and brilliance. 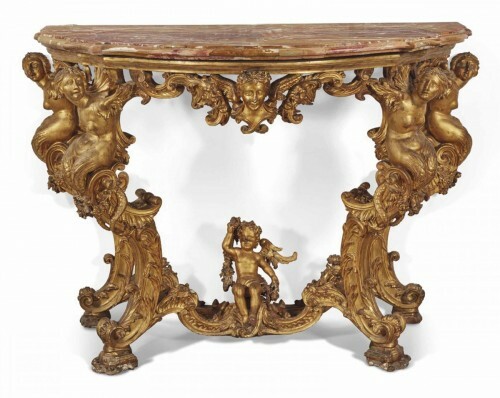 Symmetry reigns, classicism is on display. 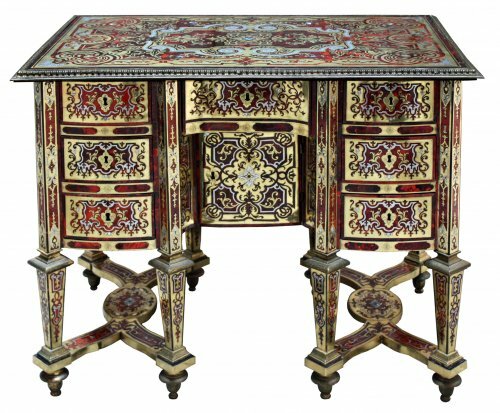 The ornamentalists draw their inspiration from the art of Antiquity and create new motifs: seashells, acanthus leaves, rosettes, ribbons, egg-and-dart or pearl-shaped friezes, fluting... 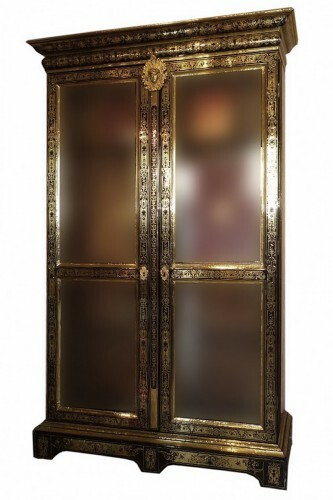 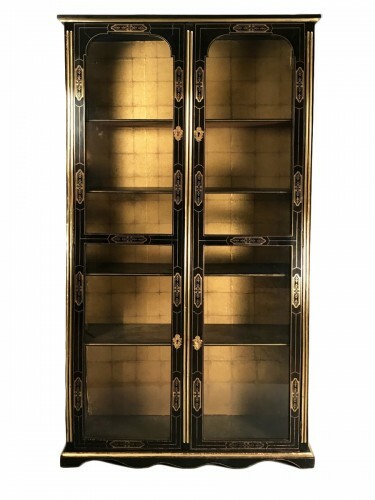 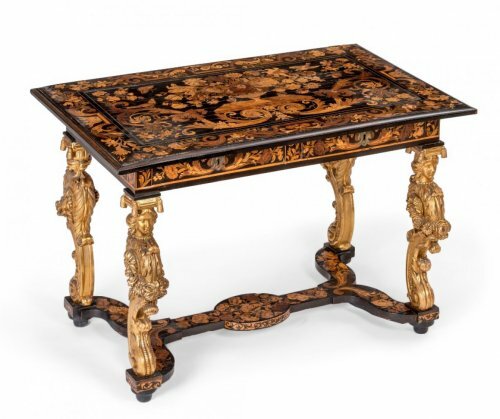 The motifs are richly carved and elevated with worked and gilded bronze. 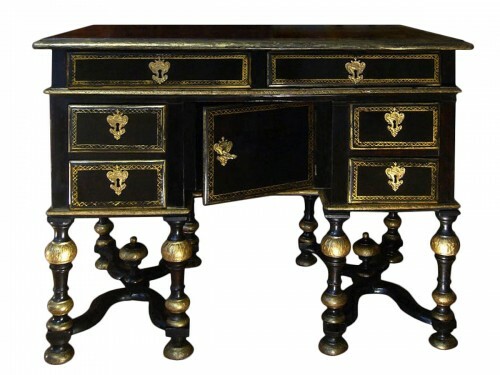 Both natural and blackened wood are very fashionable. 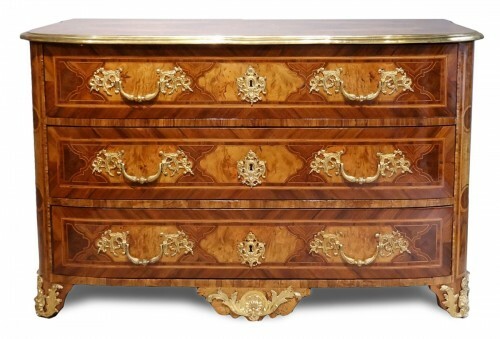 Oak, solid or veneered, remains a classic element. 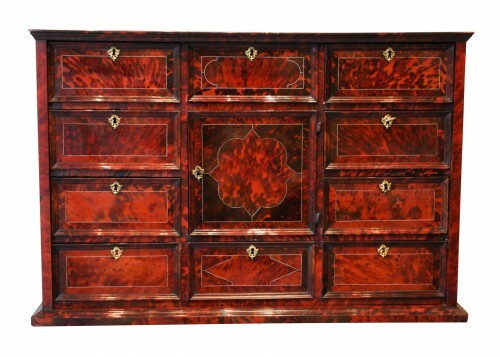 Marquetry highlights veneered woods. 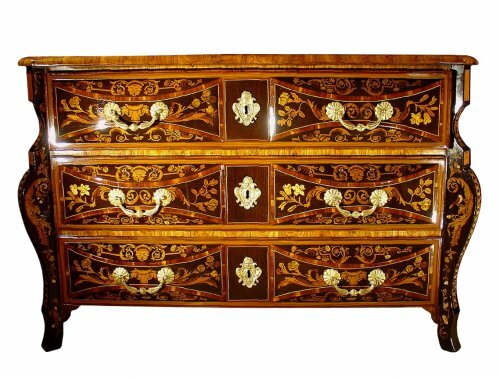 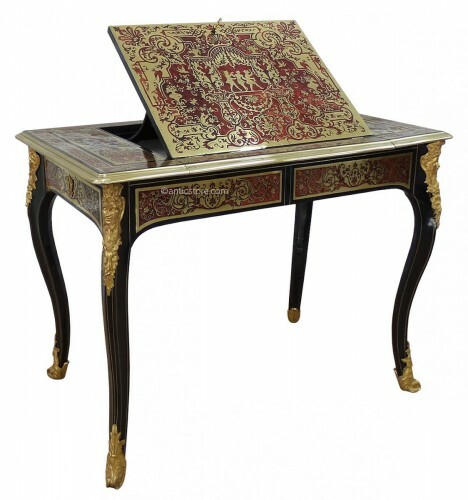 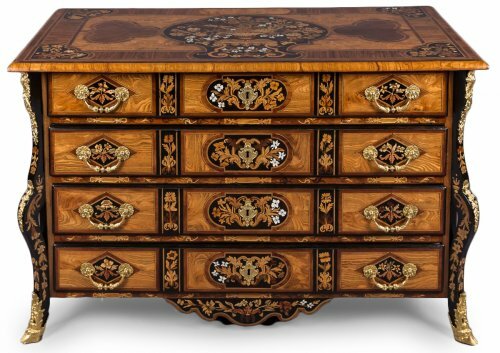 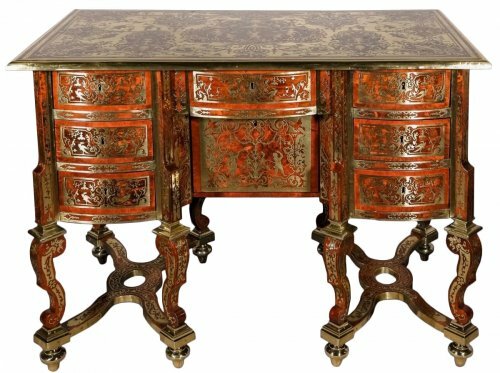 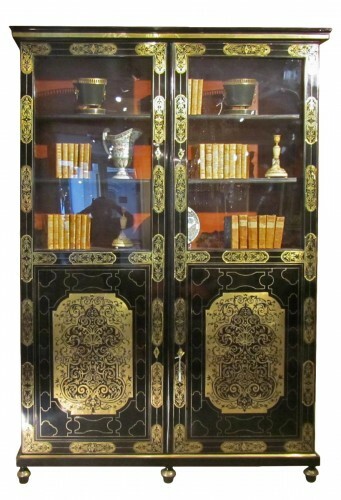 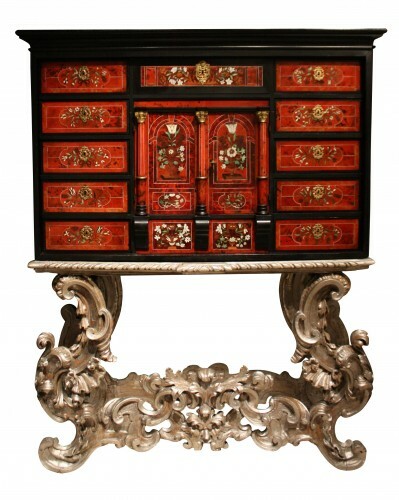 The master of marquetry is unquestionably André Charles Boulle, who pairs brass or tin with mother of pearl, tortoiseshell, horn or bone. 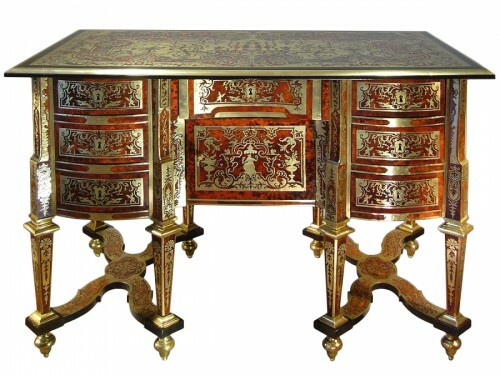 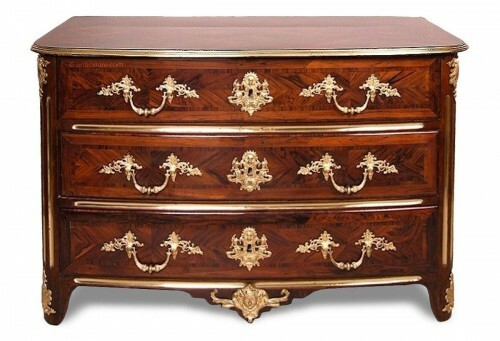 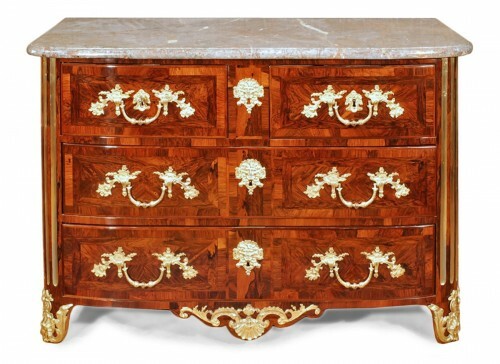 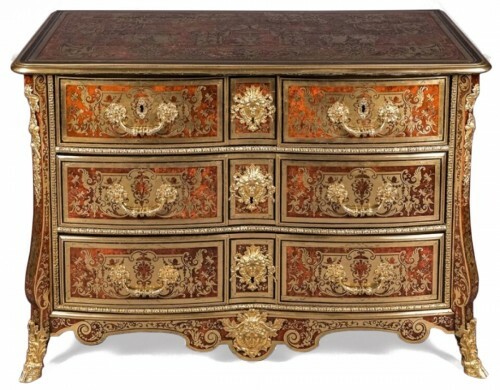 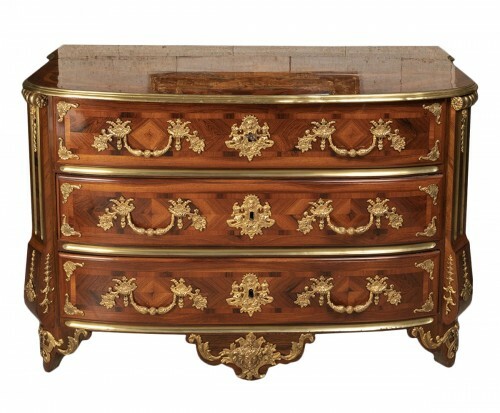 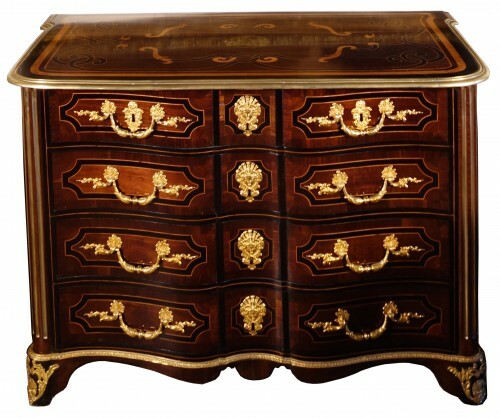 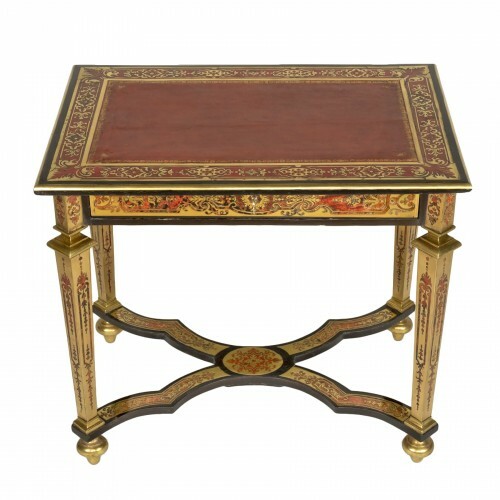 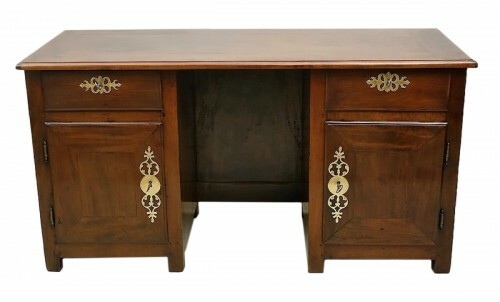 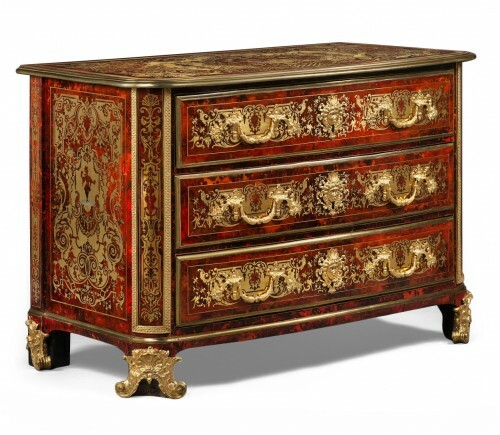 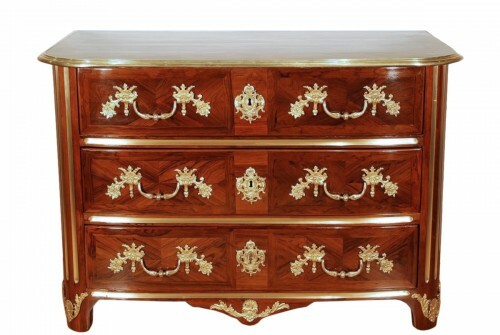 The new Louis XIV furnishings are the dresser, the console, the Mazarin desk. 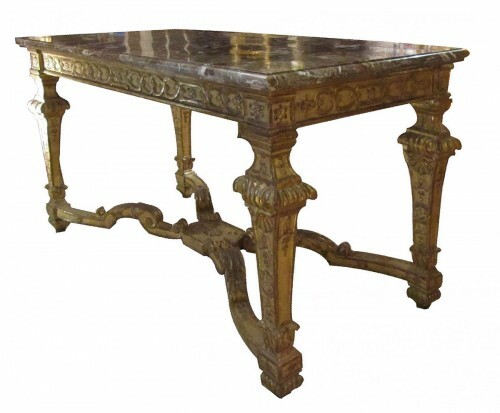 The H-form crosspiece in sheep's bone is characteristic of chairs.